'Awakening Hope' affirms you in the reasons why do what they do: Christians eat together, fast and would rather die than kill. 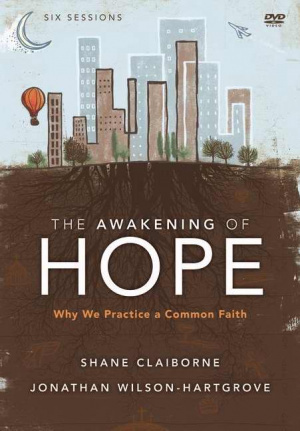 Exploring basic truths that have sustained believers through the ages, Shane Claiborne and Jonathan Wilson-Hartgrove's 6-session study delves into core convictions of a faith that leads to action---and reveals why creation and the fall, covenant and community, and ethics and evangelism matter. The authors confirm their view that revival is stirring among people who've surrendered their whole lives to the Spirit, Christians committed to transforming themselves and the world around them. This movement marks a shift in the way people are engaging faith. This new generation doesn't think from belief to action but rather from action to reflection on beliefs, tending to care more about what faith does than what it tells us to believe. But faithful action is always inspired and sustained by the basic truths. As Christians, we have a rich tradition of passing our faith from one generation to the next through teaching, discipleship, and sharing life. According to the authors, we need to carry on this tradition today, teaching Biblical truths and celebrating those who've passed their faith to the next generation. This DVD study presents stories of faith and explores why Christians do what they do, delving into the core convictions of a faith that leads to action. Your group will learn basic Christian truths and what it means to build community among believers. 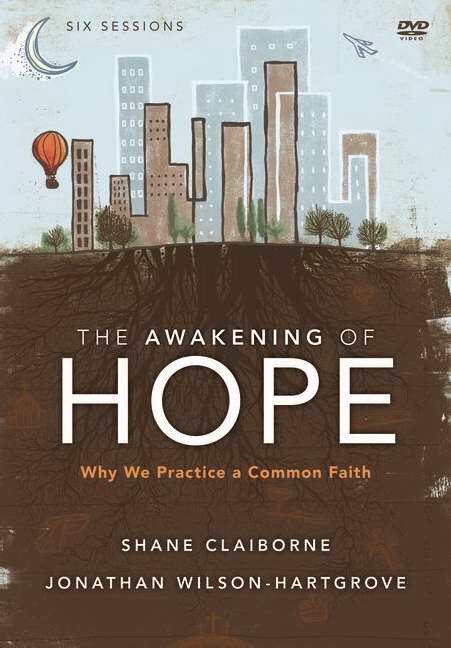 The Awakening of Hope: A DVD Study by Jonathan Wilson-Hartgrove; Shane Claiborne was published by Zondervan in August 2012 and is our 35241st best seller. The ISBN for The Awakening of Hope: A DVD Study is 9780310894865. Be the first to review The Awakening of Hope: A DVD Study! Got a question? No problem! Just click here to ask us about The Awakening of Hope: A DVD Study. Jonathan Wilson-Hartgrove is an associate minister at St. Johns Baptist Church. A graduate of Duke Divinity School, Jonathan is engaged in reconciliation efforts in Durham, North Carolina, directs the School for Conversion, and is a sought-after speaker and author of several books. The Rutba House, where Jonathan lives with his wife, Leah, their son, JaiMichael, daughter, Nora Ann, and other friends, is a new monastic community that prays, eats, and lives together, welcoming neighbors and homeless. Shane Claiborne, activitist and author of The Irresistible Revolution and Jesus for President, and coauthor of Common Prayer, is a founder of The Simple Way, a community in inner-city Philadelphia that has helped birth and connect radical faith communities around the world.